Gerber captures Halprin's life and work with grace and reverence. [an] extraodinary respect shown by the filmmaker for aging and its artistic ramifications as manifest in the body, mind, and spirit of one remarkable woman. 4 chiles. A perfect space for her continuing legacy to move and breathe. An admiring documentary portrait of Anna Halprin, a woman so remarkable it is hard to fit her into the confines of a film, let alone a sentence. An interesting contemplation about what it means to live an artistic life. A simple and profound statement about the power of art to heal and transform our lives. Seeing this film—with its whimsy, warmth, affection, and humor—one comes away with a sense of Anna Halprin as a national treasure. Packed with illuminating interviews and lyrical movement, вЂњBreath Made VisibleвЂќ portrays a woman with angels in her feet and innovation in her blood. Long may she rock. A loving, energetically composed documentary treatment that makes a convincing case for her place in American cultural and social history. An excellent introduction to post-modern dance and to an iconic American artist. Halprin clearly cherishes every moment of her life, just as audiences will cherish every moment of BREATH MADE VISIBLE. 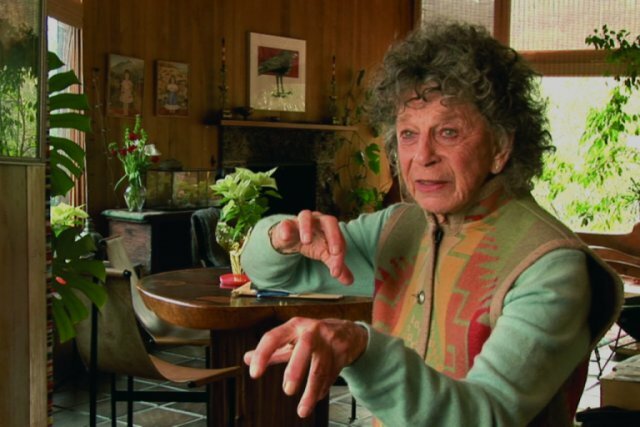 A fascinating testimonial to the healing age- defying powers of both [Anna Halprin's] art and artistry. A fascinating history of postmodern dance as seen through the the life of one of its innovators. It's hard to overestimate the influence the dancer and choreographer Anna Halprin has had on New York dance, even though she has made a point of staying far from the city [...]. [...] a portrait of an anything but conventional woman, artist and thinker. It's no small feat to make a legend life-size and accessible without despelling her greatness and mystique, yet Gerber pulls off a delicate tightrope act with relaxed ease. Engaging. Illustrative. The quintessential Left Coast choreographer Anna Halprin has helped push the boundaries of modern dance. Ms. Halprin becomes quite as rich a subject for film as Ms.Monk: another odd face, another wonderfully calm (though ardently enthusiastic) and open talker, another (and senior) artist who responds to both politics and scenery. An intelligent, beautifully photographed, smartly edited film [...]. Gerber's film reveals not only the important artistic influences Halprin had on such distinghuished artists as Merce Cunningham, Trisha Brown, and Yvonne Rainer, but also what a groundbreaking force Halprin was in political and other cultural arenas.